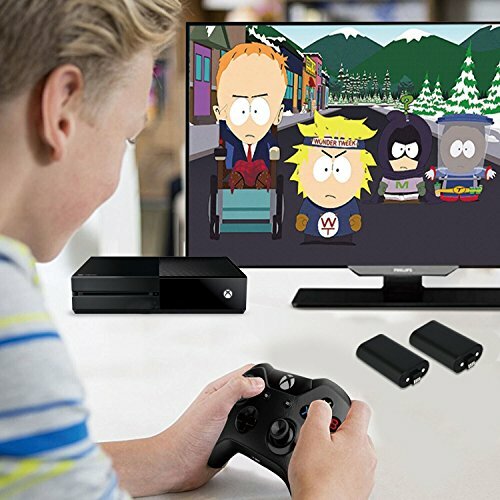 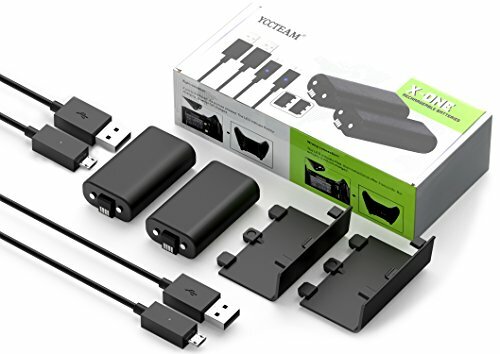 Compatibility list: High-Quality rechargeable battery is fully compatible with the Xbox One, Xbox One S and Xbox One X Wireless controller, it support charging while you are playing. 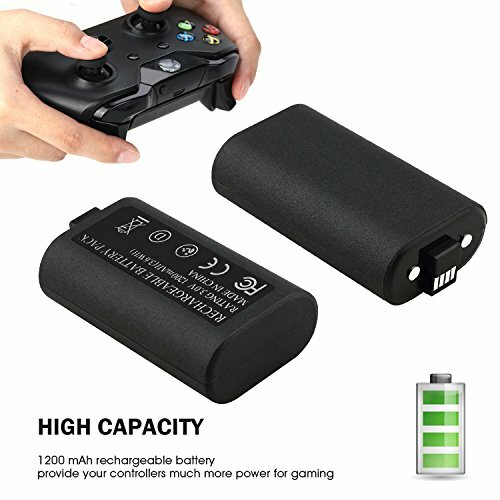 1200mAh High Capacity Rechargeable NiMH battery: 1200mAh Xbox One Rechargeable battery packs, with a lifespan of over 1,000 charge cycles. Longer lasting rechargeable batteries, say goodbye to AA disposable battery. 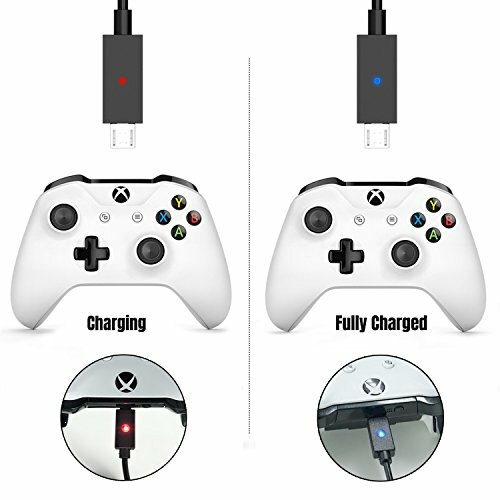 Short charging time: Fully charges in under 4 hours. 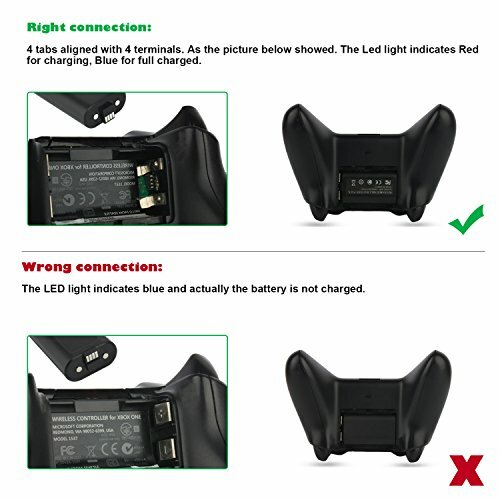 LED indicators shows the charging status: Red- charging, Blue- fully charged. 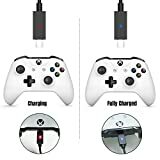 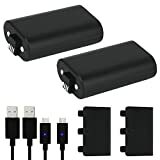 What You Get: 2 PCS 1200mAh Rechargeable batteries for xbox one wireless controller, 2 PCS 5 Feet Micro USB Charging cable, 2 PCS Battery Covers. 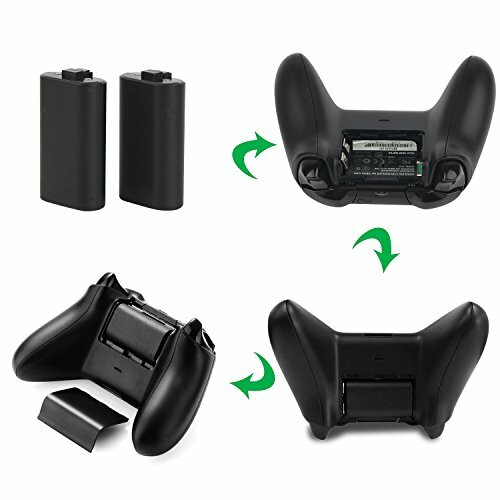 Warranty: 100% Money Back guarantee and 12 Month Warranty guarantee. 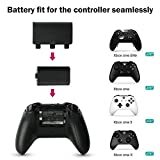 Please feel free to contact with us for any questions.